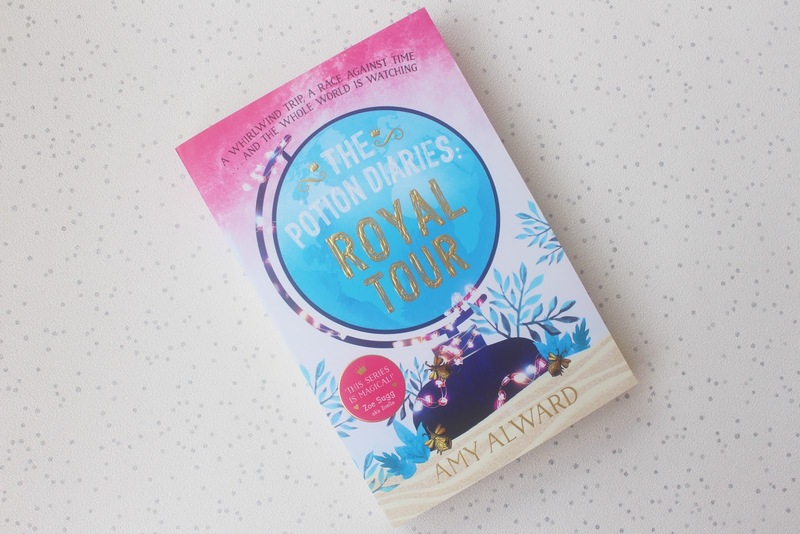 Yes that’s right, you can win a copy of *The Potion Diaries: The Royal Tour, the latest book in the series by Amy Alward. Today’s book review is a brilliant book by an amazing author. Having thoroughly enjoyed the first book in the series, I was so excited to read this one. Amy Alward is a Canadian author and a freelance editor. Amy divides her time between the UK and Canada. Amy’s debut fantasy novel called The Oathbreaker’s Shadow, which was published in 2013, under the name Amy McCulloch. 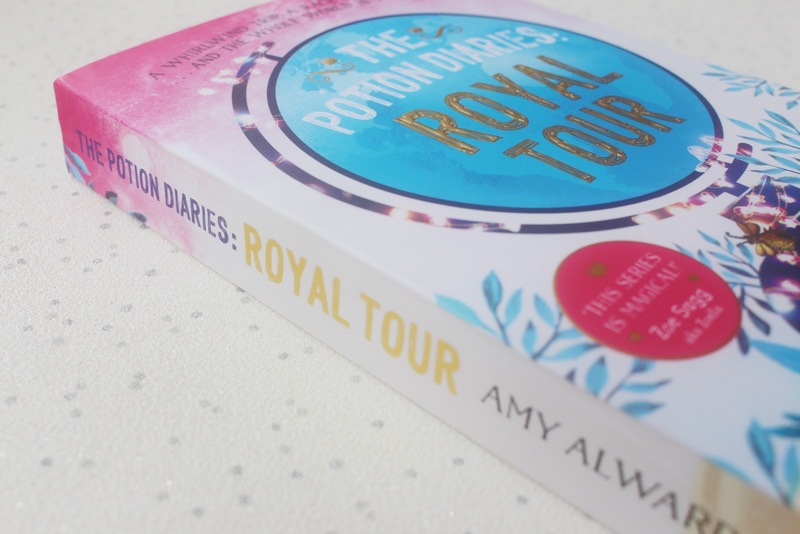 The Potion Diaries, was Amy’s first novel written as Amy Alward. “Since Winning the Hunt and saving her new BFF, Princess Evelyn, Sam Kemi has been royally busy… What with TV intervies, working in her family’s potion store and preparing to join Evelyn on her world tour, Sam STILL hasn’t had time for a real date with Zain, her new-boyfriend-slash-former-rival. The Potion Diaries are an incredible series. Brilliantly written and an amazing read. I just wanted to read more and more. As soon as I had finished book one of the The Potion Diaries, I was straight into book two. 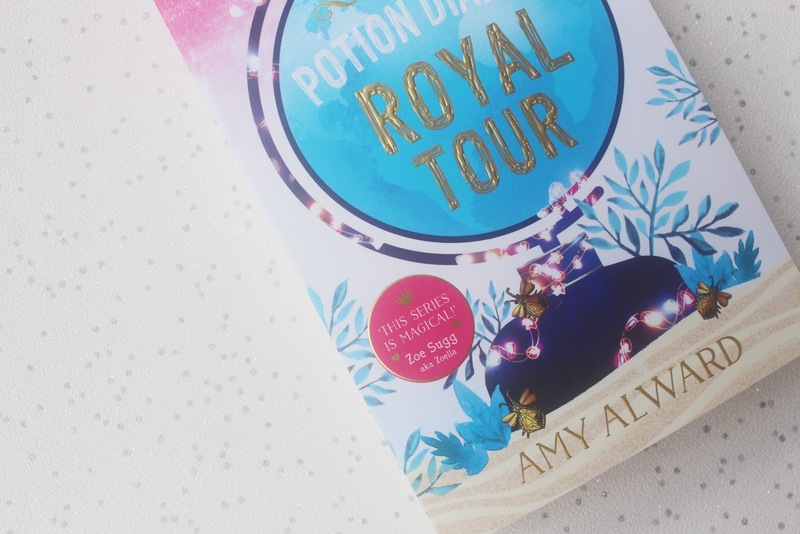 Amy Alward has transported me into a world full of magic and potions, and an adventure filled with magical creatures, new lands, excitement and surprises. I do love a book that can do this, and this is my favourite type of book to read. When this book arrived in the post, the first thing I noticed about this book, was the stunning front cover. Like the first book, the book is beautifully illustrated. The main picture being a very pretty globe of the world. The words on top of the book say “A whirlwind trip, a race against time… And the whole world is watching.” From this, we know there is going to be adventure, danger and the whole world knowing about it. Like the first book, social media plays a part in Royal Tour. The beginning of this story follows on from the previous book and we get to read for ourselves what has been happening in the world of Sam Kemi, since winning the Hunt, saving the Princess and dating Zain. I really enjoyed following Sam on her adventures in the previous book and I was eager to once again follow Sam on some new adventures. Unfortunately for Sam, lots of stories are going around about her family and this is becoming very clear on social media. Everyone suddenly thinks that the Kemi family are hiding a potion that can change everything. As Sam and her family try to tell everyone that there is no such potion in their shop, they think that the Kemi family are lying. Them someone has tampered with her grandad’s memory. Sam’s new mission, is to save her grandad and everyone else. Both books are fast paced and get straight into the story. I love the characters within this book and really connected with them. If you haven’t already read the first book in the series, I highly recommend checking them it out. Be prepared to be taken on an extraordinary adventure filled with magic and potions. 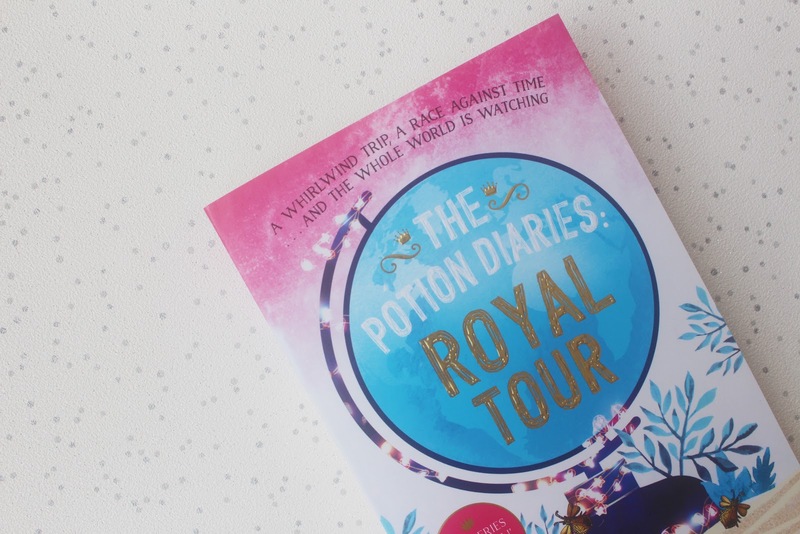 Win a copy of The Potion Diaries – Royal Tour. To win a copy all you need to do is follow me on Twitter and RT this tweet. Giveaway ends on Sunday 21st August 2016.